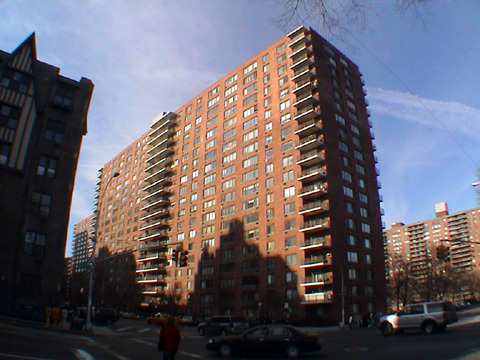 This 20-story, 414-unit building is one of seven red-brick slab towers that comprise the Park West Village complex that was designed by Skidmore, Owings & Merrill, the famous architects of Manhattan House on the Upper East Side and Lever House on Park Avenue, among many other prominent buildings in the city. Park West Village was built by Webb & Knapp, the development company of William Zeckendorf, the legendary builder, and the Aluminum Company of America (Alcoa). This building was completed in 1961 and converted to a condominium in 1985. It is named after Frederick Law Olmstead, one of the designers of Central Park. The building is one block from a subway station and has on-site parking, many balconies, landscaped grounds, a doorman, but no health club.